About 20 minutes by car from Obihiro, the Tokachigawa Onsen is famous for its popular Mall Fountain, which makes your skin smooth. But that’s not all! You can also enjoy the view from standing on the hill or walk to the observatory. 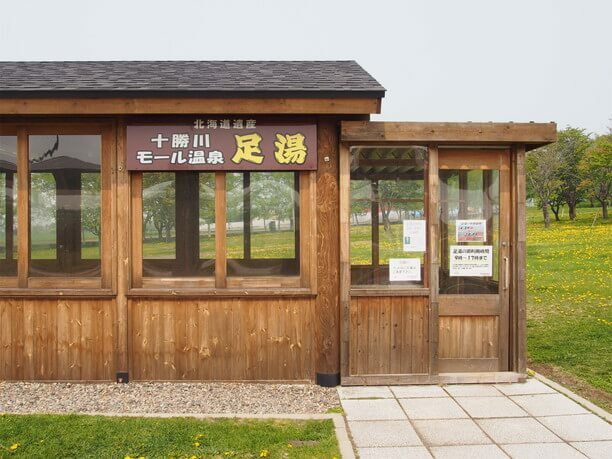 Enjoy the wide view of the Tokachi River, the vast Tokachi plain, and the faraway mountains. 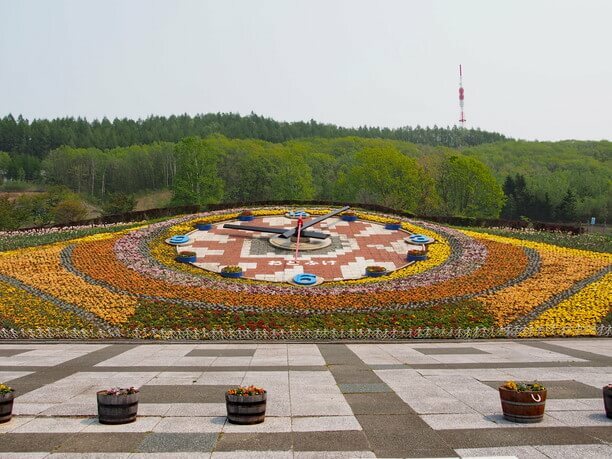 At Tokachi hill park, you can see the Hanak, a jumbo flower clock that is covered with colorful flowers. There are also footbaths that are open for free. There are also lots of attractive events such as the Mall hot spring dream botaru appreciation meeting in the summer, and a fantasic show of light and sound at Ayakura Hua in the Winter! 5-minutes from the Tokachigawa Onsen there is a superb view spot! 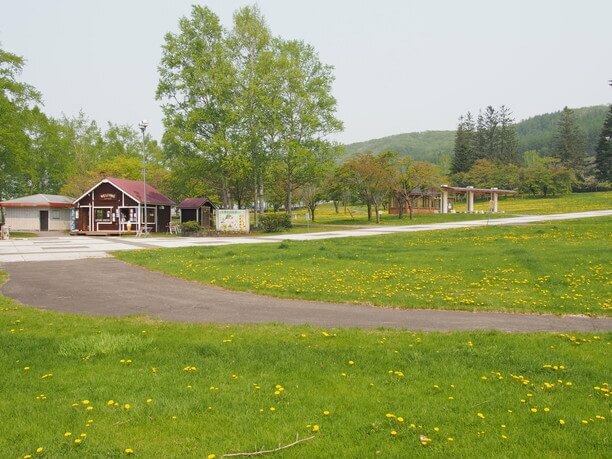 It is a short drive from Tokachi hot spring town and the Tokachi hill park. It is around 10 minutes even if you walk. Among the vast lawn, there is the Hanak, a flower clock that stands out with its colorful flowers. In the back there is a small hill, where there is an observatory in the vicinity of the transmission station of the television station. 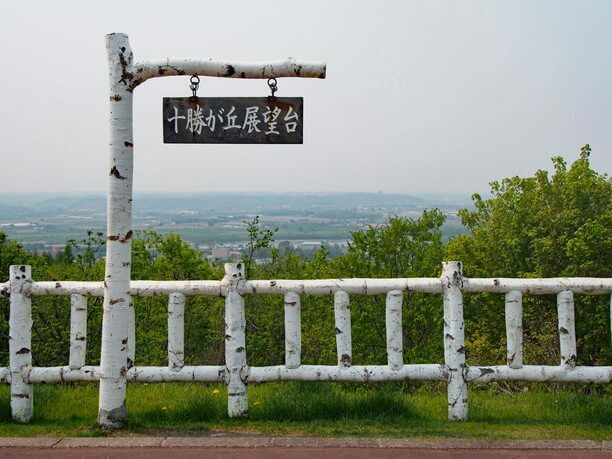 About 10 minutes by car, Tokachi has a hilltop observation deck in front of the road that curves around the park. A birch tree sign with a retro style lamp is a landmark. There are 20 parking lot stalls, so you can usually find a place to park. 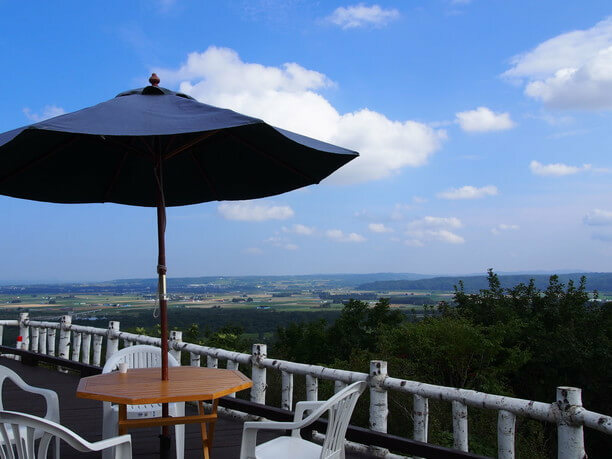 Enjoy the panoramic view overlooking the Tokachi river and majestic Hirano mountains! This observation deck with its 180 degrees panoramic view is a great shooting spot. It is a great place to take a look at the scenery of your favorite places. Along the Tokachi River, that cuts through the Tokachi plain, spa towns are lined up in front of you. On the banks of the river where reeds grew in the ancient times, hot water passes through the stratum of the plants that have piled up for years. The resulting mall fountain is said to be a natural lotion. Since they have a guide board installed, it is convenient to check the place you are watching. 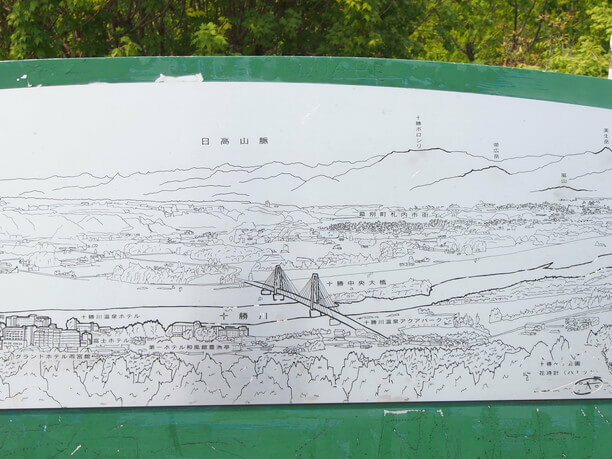 If the weather is nice you can see the Hidaka mountains and the Tokachi Polo Shiri dake hill. There is a scenic cafe with free tea and coffee! On the observation deck, the scenic cafe is open on weekends and public holidays for a limited time from spring to autumn. It is operated by local sightseeing volunteers and also serves coffee and tea for free. The wonderful view and the refreshing atmosphere are more special with the tea. In addition to sightseeing brochures, volunteers will be able to tell you about the area. Please note that it may be canceled during bad weather. 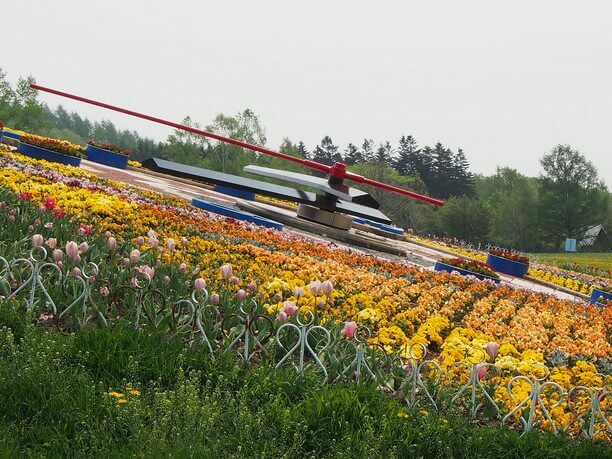 See the huge flower clock colored with 20 thousand flowers! 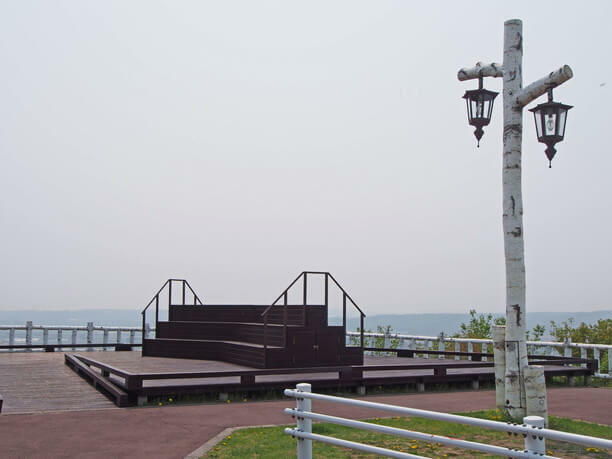 After the observation deck, it is recommended to go to go to the Tokachi hill park. It is convenient for small breaks as there are toilets, shops and foot baths. Children can play on the athletic playground equipment located on the grounds. Hanak is a huge flower clock with a diameter of 18 yards. It is mentioned in Guinness Book of world records! You will be impressed with the size of the needle of this big clock, but you will also be enchanted by the tulips and pansies that make up the face of the clock. This flower clock needs 20,000 flowers planted five times a year, tailored to the season. Experience the foot bath at the natural mall fountain! There is footbath within the park. Because it is in a wooden building, it is ok to use even when it is cold or stormy! If you put your feet in the the coffee-colored hot water, you will want to stay awhile in the cozy feel of nature. You can see the Hanak from the window. They sell snacks, juices and soft serve ice cream at nearby shops. They also sell towels for the footbath for 120 yen. 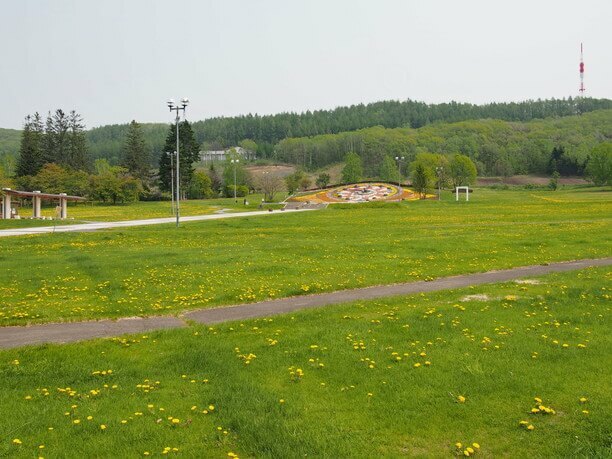 The observatory which can overlook Tokachi plain and park, the flower clock, and footbath all make for an enjoying adventure for every season. 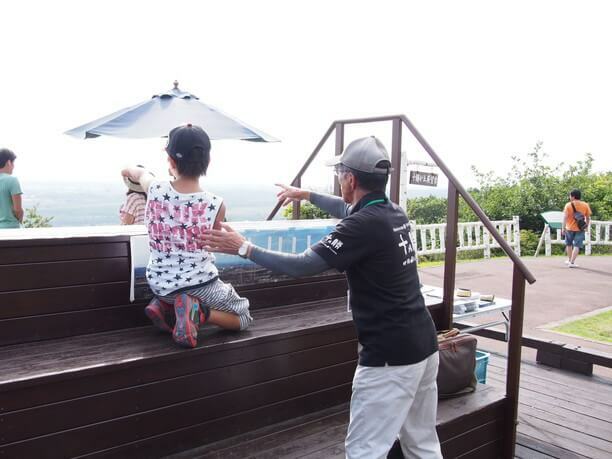 Tokachi hill Observatory is famous as a shooting spot for the sunset. 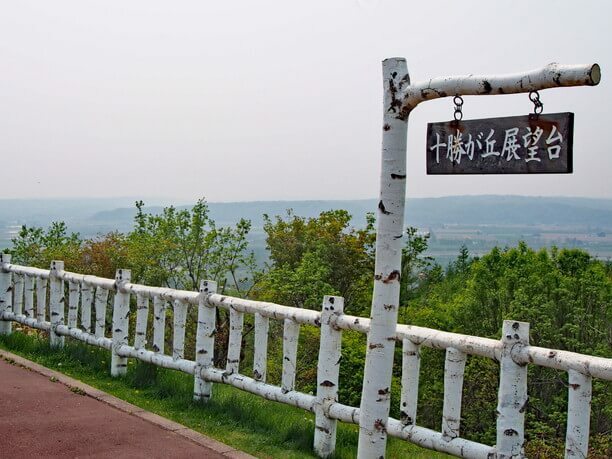 Since the road to the observation deck is narrow, be careful when passing by car or when taking photos. 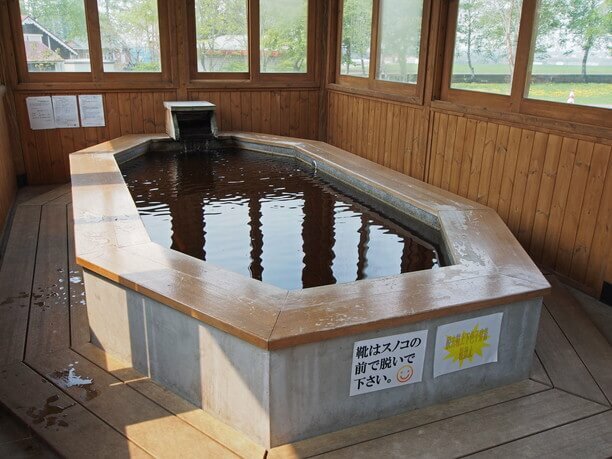 Another free footbath is also behind the Tokachigawa Onsen Tourism Guide Center which is the gateway to Tokachigawa Onsen. You can buy towels at the center! 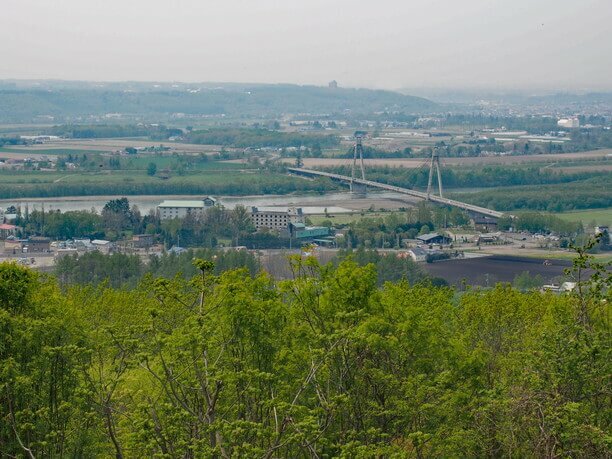 The Tokachi Central bridge, which can be seen from the observation platform, is also called Haku cho Bridge. It is a winter spot for swans. From early winter to mid-March, you can see their beautiful appearance floating in the Tokachi River in close proximity. Sai Rinka" is an event held at Tokachi Gaoka Park at night from the of January to February. Objects are lit up with over 650 lights. They also hold a laser show of light and sound, that is so moving you will forget the cold!